A1 Smog Test Center - Best Price Guarantee - A1 Smog Test Center - Your Friendly Neighbor For Your Smog Check Needs! 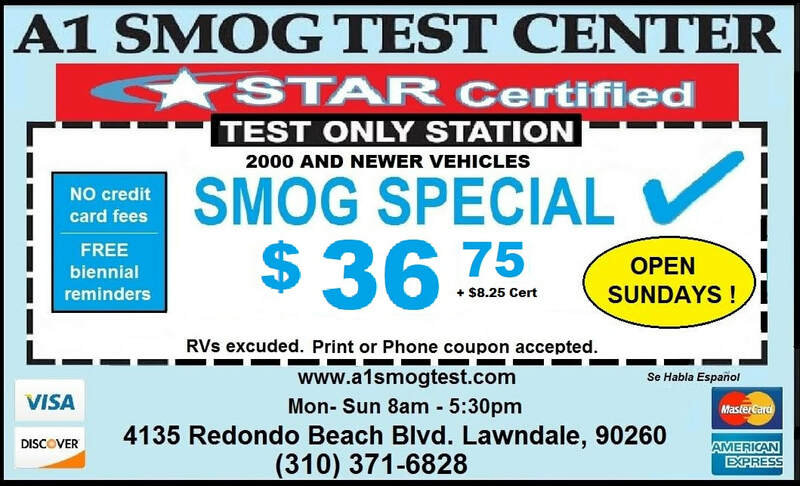 BEST STAR SMOG PRICE GUARANTEE! Please click coupon to print OR simply show us on your phone! We also accept all competitor coupons; STAR Test Only, Smog Check Stations in Lawndale, Torrance, Redondo Beach and Manhattan Beach.